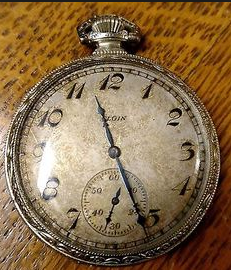 About the Pocket Watch, a very interesting story submitted by member George Downer. If you were in the market for a watch in 1880, would you know where to get one? You would go to a store, right? Well, of course, you could do that, but if you wanted one that was cheaper and a bit better than most of the store watches, you went to the train station! Sound a bit funny? Well, for about 500 towns across the northern United States, that’s where the best watches were found. Why were the best watches found at the train station? The railroad company wasn’t selling the watches, not at all. The telegraph operator was. 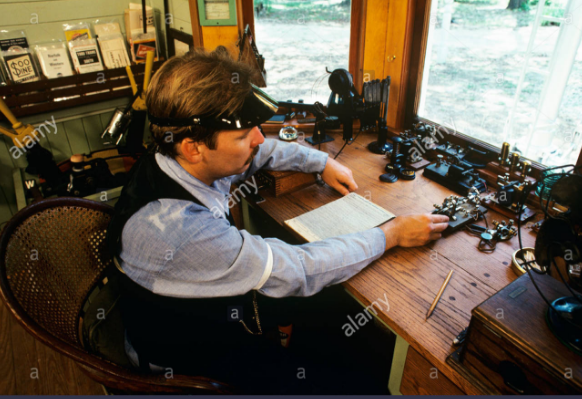 Most of the time the telegraph operator was located in the railroad station because the telegraph lines followed the railroad tracks from town to town. It was usually the shortest distance and the right-of-way had already been secured for the rail line. Most of the station agents were also skilled telegraph operators and it was the primary way they communicated with the railroad. 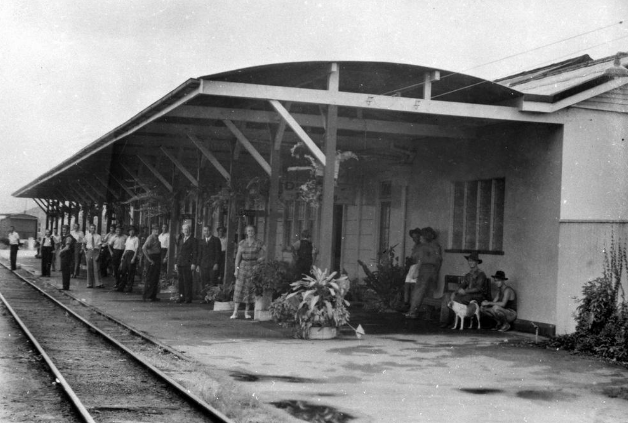 They would know when the trains left the previous station and when they were due at their next station. And it was the telegraph operator who had the watches. As a matter of fact, they sold more of them than almost all the stores combined for a period of about 9 years. This was all arranged by “Richard”, who was a telegraph operator himself. He was on duty in the North Redwood, Minnesota train station one day when a load of watches arrived from the East. It was a huge crate of pocket watches. No one ever came to claim them. So Richard sent a telegram to the manufacturer and asked them what they wanted to do with the watches. The manufacturer didn’t want to pay the freight back, so they wired Richard to see if he could sell them. So Richard did. He sent a wire to every agent in the system asking them if they wanted a cheap, but good, pocket watch. He sold the entire case in less than two days and at a handsome profit. That started it all. He ordered more watches from the watch company and encouraged the telegraph operators to set up a display case in the station offering high-quality watches for a cheap price to all the travelers. It worked! It didn’t take long for the word to spread and, before long, people other than travelers came to the train station to buy watches. Richard became so busy that he had to hire a professional watchmaker to help him with the orders. That was Alvah. And the rest is history as they say. The business took off and soon expanded to many other lines of dry goods. Richard and Alvah left the train station and moved their company to Chicago — and it’s still there. YES, IT’S A LITTLE KNOWN FACT that for a while in the 1880’s, the biggest watch retailer in the country was at the train station. 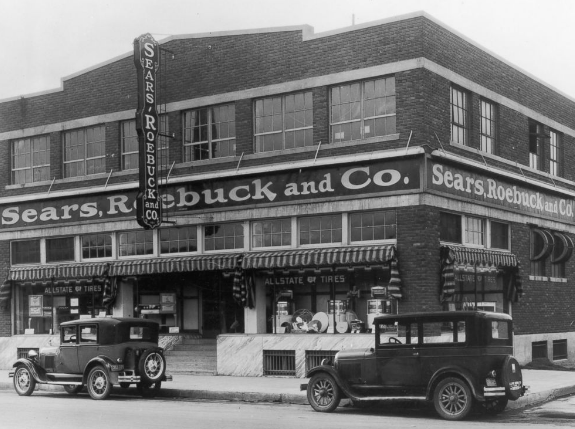 It all started with a telegraph operator: Richard Sears and partner Alvah Roebuck! How Do I Choose an Airbrush?